Saamer joined the mentoring scheme at City to gain a competitive edge by learning from industry experts. I decided to embark on the mentoring scheme as I felt it would provide me with a valuable insight into future career opportunities. I was keen to develop my broader skills in addition to developing commercial awareness in the Civil Engineering industry and I felt taking part in this scheme would provide me with a competitive edge by learning from industry experts. My experience of the mentoring scheme at City, University of London has been very positive, the scheme helped me in making an informed career decision as well as empowering my academic studies. The scheme has provided me with the necessary skills needed to succeed as a graduate within the industry. I would highly recommend students to partake in the mentoring scheme, it helps to develop broader skills and prepares one for the world of work and is a fantastic opportunity that City provides and I would strongly encourage students to apply! 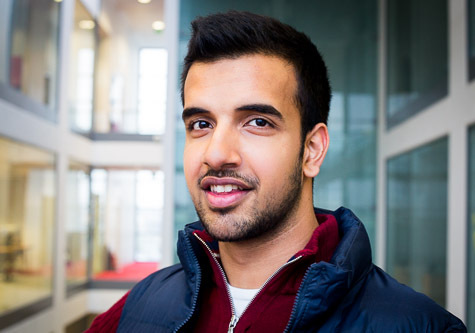 Saamer joined the Professional Mentoring scheme at City, find out how a mentor could help you.